Did you know that your freezer is a very effective tool in reducing food waste? An effective use of freezer helps you preserving unused produce as well as upcycling cooked food for new uses. Dazzled by their beauty, we all tend to buy more fruits and vegetables than we can consume. However; as all fresh food must perish some point, we all face the same problem: what to do with all this produce before they spoil. Here’re some tips to prevent food waste effectively and efficiently with your freezer. ● Don’t freeze them all at once. Plan your freezing in stages. Spread smaller items such as chopped veggies, beans and berries on a cooking tray while freezing. Once frozen, transfer them to a container. This way you don’t end up with a giant frozen block of veggies. ● Don’t fall for packing frenzy. Some fruits and vegetables don’t need any packing at all. Tomatoes, bananas, peaches are actually better frozen unpacked. Their skins will slip off easily once thawed. Likewise, roots like ginger and turmeric don’t need to be packed either. Once frozen, use a micro grater and shave them directly into your recipe. freeze “milk cubes” (dairy or non-dairy) and use with your coffee. You can freeze leftover wine and use in your sauces. You can even freeze pureed avocado with a touch of lemon (to prevent browning) and use them directly in smoothie recipes. You can also upcycle leftovers by freezing them. ● Save scraps for deliciousness. Save veggie scraps and trimmings in a bag in the freezer. They’re great for creating a lovely flavorful stock which you can use in soups, grains, sauces. You can even sip it on its own. Similarly, you can save chicken and meat bones and use them to make bone broth. These once seemingly leftover materials will definitely dial your flavors up a notch. ● Coffee is your key to beauty. Anytime you brew fresh coffee, save the coffee grounds in the freezer. 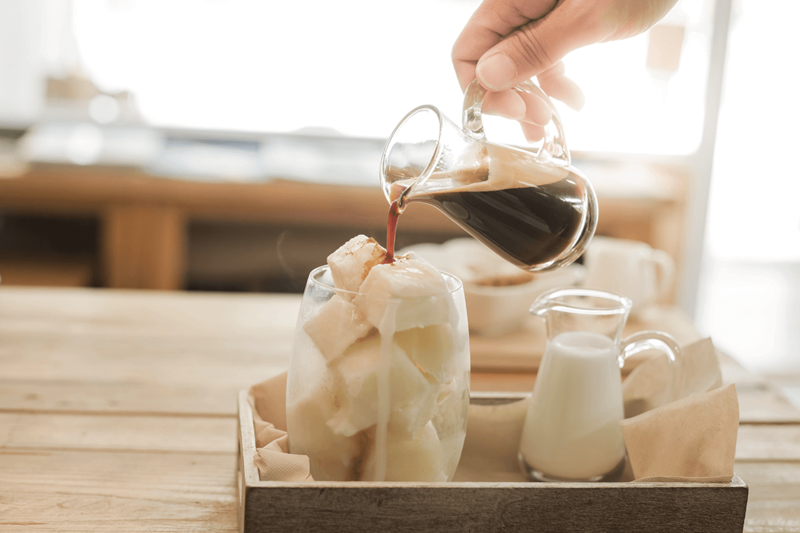 Combine 2 tablespoons of coconut oil with a large scoop (1/2 cup) of coffee grounds until the grounds are completely mixed with oil. And you’ve got yourself a great scrub. ● It’s also very important to defrost the right way. You can transfer them to the refrigerator section a day before you need them. Or you can leave them in room temperature the morning of, or simply warm them in a hot water bath slowly before use. 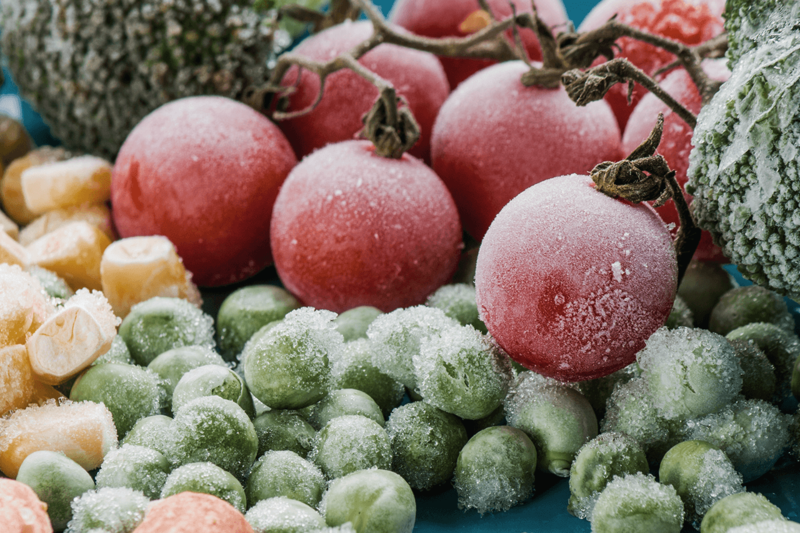 Freeze to stop food waste.